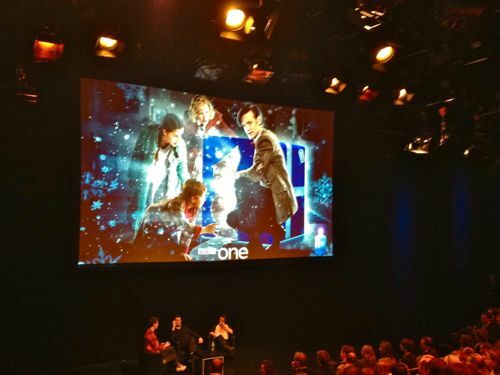 Steven Moffat (centre) makes the announcement tonight. WE knew it was going to happen sooner or later. But it’s sad news all the same. 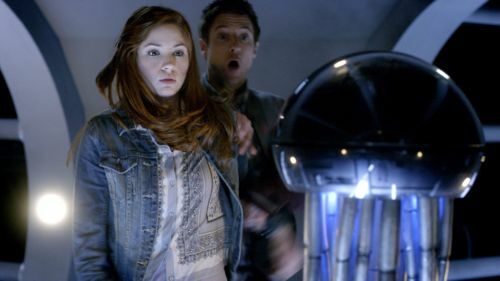 Doctor Who stars Karen Gillan and Arthur Darvill, who play Amy and Rory Pond, are to leave the show in the next series. 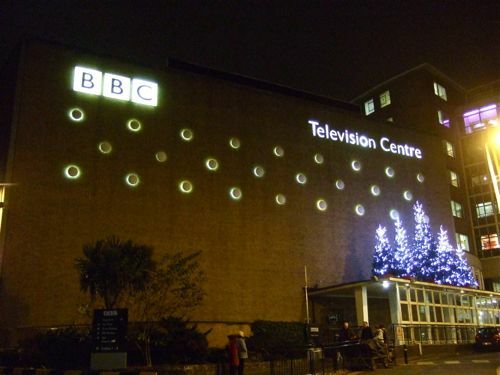 The revelation came out of the blue in the middle of a Q&A session at BBC TV Centre in west London tonight (Thursday). We had just watched a special screening of this year’s Christmas Day episode – The Doctor, The Widow and the Wardrobe. In front of an audience of fans young and old, a number of MPs, Shadow Chancellor Ed Balls (sat across the row from me) and reportedly Chancellor George Osborne. When host Richard Bacon said Doctor Who writer and showrunner Steven Moffat had “a very big announcement” to make about the next series. “Amy and Rory will be re-joining us next series and joining the Doctor back on the Tardis. “But…but…the final days of the Ponds are coming. “It’s during the next series – I’m not telling you when and I’m certainly not telling you how. “But that story is going to come to a heartbreaking end. “We have only so many more adventures with the lovely Amy and the lovely Rory. “So that story, next series…during the series, will be over. “And then, the Doctor is going to meet a new friend. Matt Smith: “Yes, absolutely…and Arthur. We’ve had the most incredible journey and we took over the show and we really had to sort of hold hands and help each other through it in many ways. “ So, yeah, it’s very disappointing. Tonight's Doctor Who Winter Wonderland. Series seven in the new Doctor Who era begins filming in February. 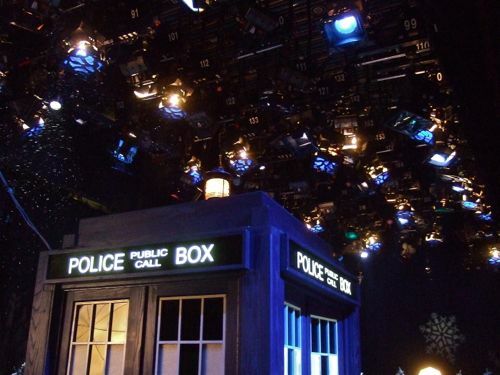 A total of 13 episodes will be screened next year and into 2013 – the year Doctor Who celebrates its 50th anniversary. And the hour-long Christmas Special? It’s a real festive charmer, including an exploding spaceship, the best child’s bedroom ever and a starry forest. With some top class guest performances from Claire Skinner (Madge), Holly Earl (Lily) and Maurice Cole (Cyril), among others. Plus yet more delicious lines from episode author Mr Moffat. 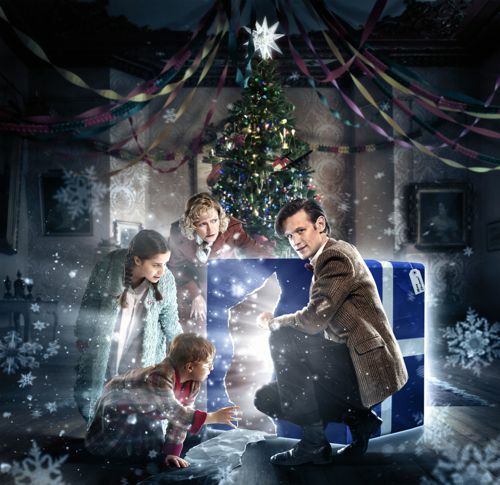 Lily (Holly Earl), Cyril (Maurice Cole), Madge (Claire Skinner) and The Doctor (Matt Smith) in the Christmas episode. There was also a nice BBC touch this evening. Aside from also giving us a glimpse of the two recently discovered “missing” Doctor Who episodes from the 1960s. The event was held in Studio 1, usually home to Strictly Come Dancing. 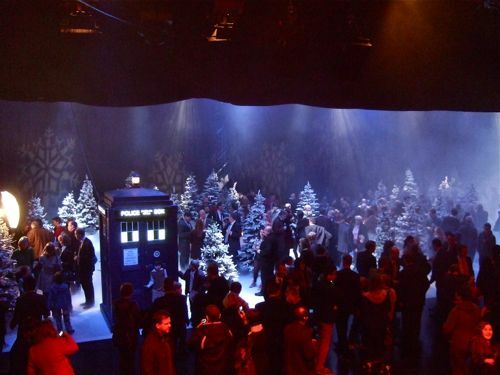 After the last question had been asked, a huge curtain divide lifted to reveal a Doctor Who Winter Wonderland. With everyone invited for mince pies and drinks. Doctor Who: The Doctor, The Widow and the Wardrobe is screened on BBC1 at 7pm on Christmas Day. Outside BBC TV Centre tonight. Posted in Doctor Who, News and tagged Arthur Darvill, Doctor Who, Karen Gillan, Matt Smith, Steven Moffat. Bookmark the permalink. I will be sad to see Amy and Rory go, yes – but intrigued to see who will take their place!